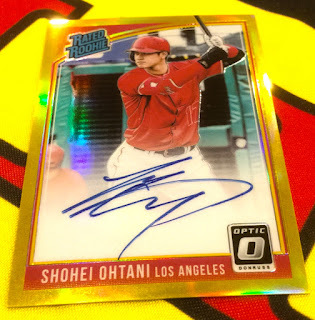 The Optic revolution that first began captivating collectors when 2016 Donruss Optic Baseball arrived in July of 2016 is still going strong today, almost two years later. The undeniable appeal of Optic’s hardball debut gave way to similarly successful launches in the NFL and the NBA. In late July, the third annual installment of scorching-hot brand returns with a proven track record and an impressive array of calling-card inclusions. from the standout 2018 class, including Japanese sensation Shohei Ohtani. The low-numbered Retro 1984 Signatures insert. Two autographs per box, on average. Each case will deliver two Autograph Hot Boxes (featuring five autographs per box) and two Prizm Hot Boxes (featuring 20 numbered Prizms per box). 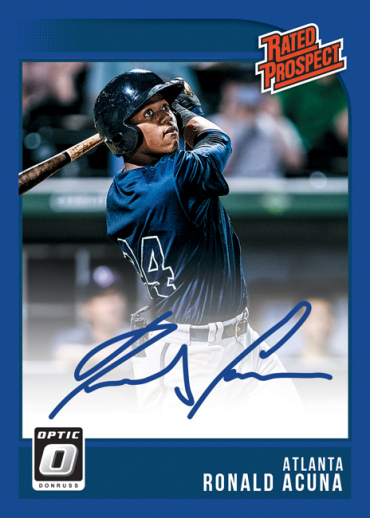 Look for on-card autographs of top 2018 rookies in Rated Rookies Signatures and Retro Signatures. 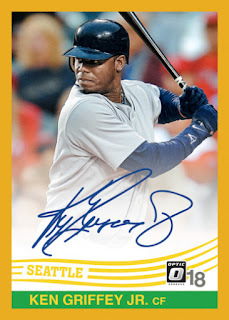 A 175-card base set that includes 30 Diamond Kings, 35 Rated Rookies and 10 base All-Stars. The 25-card Significant Signatures insert features autographs from some of the greatest players of all time.